I am halfway through school but yet again life got in the way. I am divorced now and working on the modular team at Walmart. I graduated in 83. I went to Anderson College for 1 year and then quit. Other things got in the way at the time. If I had it to do over again, I would have finished with the rest of my class at AC. Carol Burton Richardson has a birthday today. 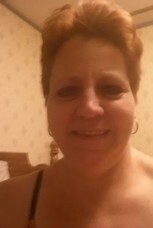 Carol Burton Richardson updated her profile. View. Carol Burton Richardson changed her profile picture. Carol Burton Richardson changed her "Now" picture.